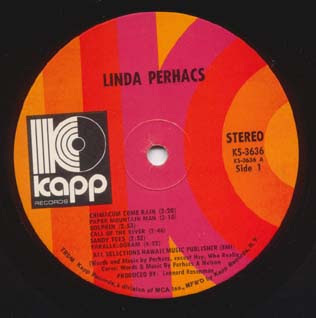 Linda Perhacs made one of the great "lost" albums that has recently been found and re-released to great acclaim. This week's UWA gives you a mini-tour of Parallelograms. Then it's off to the late 1930s and Pretty Kitty Kelly. A little Ames Brothers ... a little Zax ... another taste of "The Dog Song" ... a Piney Creek Weasels encore ... and before you can say "Bing Crosby and the Andrews Sisters," we're outta there again. Have fun! Click the podcast icon or download here.